Searching for Fairies in Ireland: Can YOU Spot the Wee People in my Photos?! I’ve said it before and I’ll say it again: traveling Ireland is like stepping into a fairytale. I absolutely adore the fact that so many locals swear by the tales I was told of; from a giant building a bridge from Ireland to Scotland to the presence of fairies, the Irish sure know how to tell a story or two. Fairies, however, might not just be all about tales…..
On my tour of Ireland with Shamrocker Adventures, we stopped at a fairy fort. A fairy, what? Yes, I said a fairy fort. You see, there are fairy trees that grow all throughout Ireland; these trees are said to be portals between earth and the fairy world. These magical dwellings are actually Hawthorn trees, protected and thought to be bad luck if cut down or if even bumped into. When traveling through the countryside, you can actually see lone Hawthorn trees in the middle of a farmers field, or even in the middle of a roadway (one caused so much commotion, it halted the construction of a road for months! ), seeing as no one will disturb them to avoid a curse. 1.) Almost every time Dave (our tour guide) goes to the fairy fort, he gets a really weird feeling. 2.) During one tour with another guide, a guy ran up to a fairy tree and peed on it. When the group returned to the bus, it wouldn’t start, and had to wait hours for another one to come and pick them up. The bus made it all the way to the stranded group, but wouldn’t start once it was all loaded. They ended up going through something like 5 buses that day until one finally was able to drive away from the fort, and spent hours stranded in the middle of nowhere. 3.) During another tour with another guide, a guy kicked a tree, took a step, fell and broke his ankle. So, we were told numerous times to NOT mess with the fairies. (This goes hand in hand with that link above about messing with the trees!) Upon entering you MUST say hello to the fairies, and when leaving you MUST thank them for allowing you into their fort. Also, we were told to not, under any circumstances, stray off of the path and into the fort. The fort itself is something that you could easily drive right past without knowing what it was about; it simply looks like a ring of trees with a stump in the middle of the ring. Per the rules, we were not allowed into the ring, as that is reserved only for the locals who “understand and know how the tiny little guys work,” but we were able to walk around the ring, which was mostly like walking on mounds of tree roots. Now, of course we all wanted to see a freakin’ fairy, and we were told that there’s a chance! You have to take pictures of the stump in the middle of the field; the stump is the remnants of the original fairy tree, which fell over, but now a new tree is sprouting from the very stump. 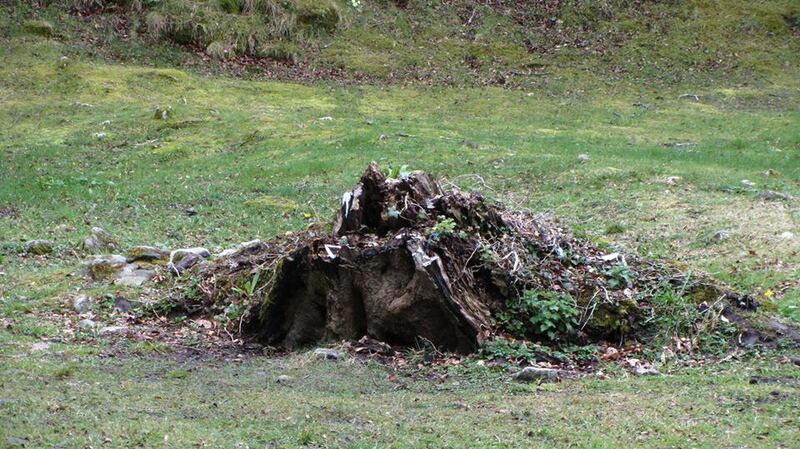 If a fairy is present, then blue orbs will appear in the photo taken of the stump. All around the stump are pieces of ribbon and cloths tied; these are left from the locals who are praying to the fairies, and again, only the locals can do so. If you zoom into some of my pictures, you can see some blue streaks of lights, said to be fairies. Whether or not they actually are is another question, but I definitely admire the beliefs of the Irish! Now, you’re probably going to think “why the heck am I looking at the same pictures of trees and a stump? !” …. zoom in on a few and you can see some blue streaks flight/orbs (they appear around the stump, since it’s the original fairy tree). One of my friends from the tour is sending me a picture that she took, which has crazy orbs; once I get it, I’ll update my post with her picture. Again, you have to look very closely to see a streak of blue, which only shows in a couple of my photos, so try to see if you can spot one! 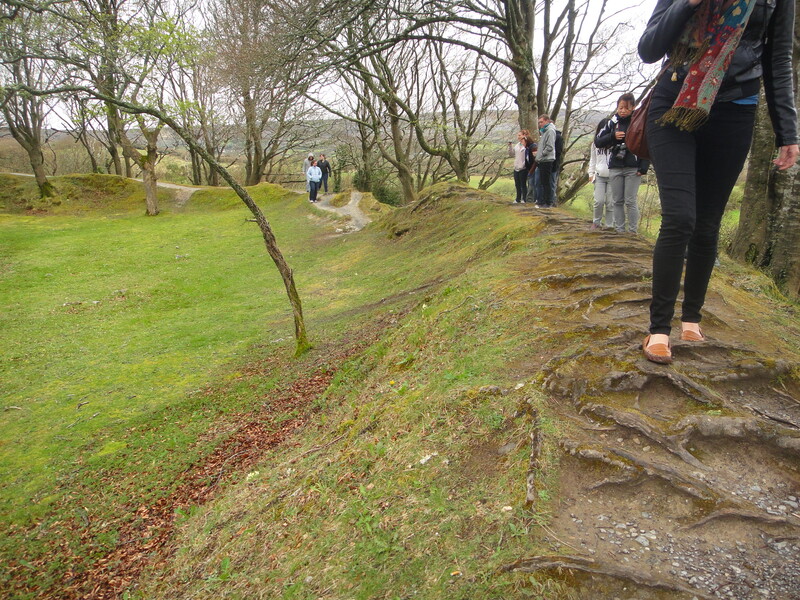 Fairies or not, visiting a fairy fort was actually a pretty cool experience; I LOVE learning about local cultures and beliefs when I travel, and keeping with Irish folklore, it definitely makes the country that more lovable! What are your thoughts on searching for fairies in Ireland? If you’ve been to a fort and have any cool pictures I’d love to see them! A HUGE thanks to Shamrocker Adventures for hosting my travels and allowing me to soak up the magic of the fairy fort! All opinions, like always, are my own. 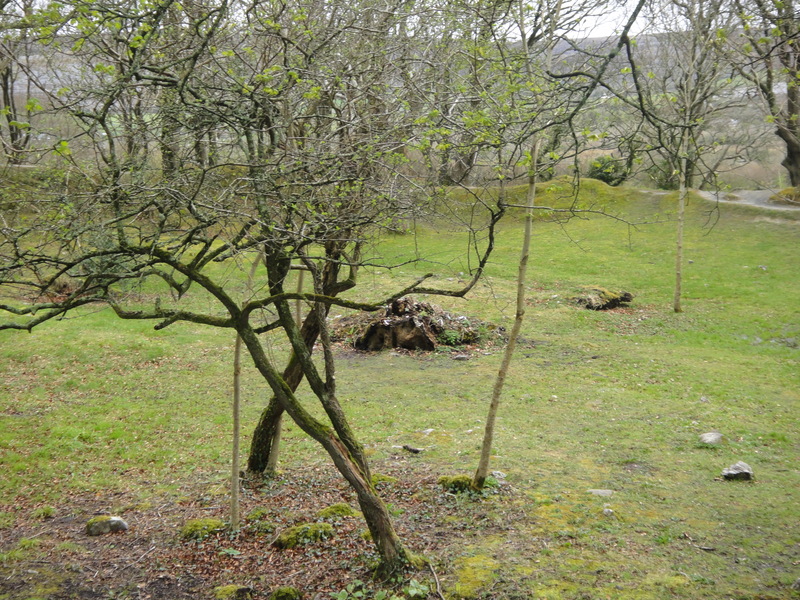 8 Comments on Searching for Fairies in Ireland: Can YOU Spot the Wee People in my Photos?! I wish I could come across a fairy. Nice article I really enjoyed it. I found another interesting peace on Irish fairies and elves online. I enjoy all of the mythology Ireland has to offer. Hi. Where is the Fairy Fort located? There are forts all throughout the country! I’m not sure where exactly this location is, however they can be found all throughout Ireland.